China’s most notorious gangster operated out of Shanghai, where he became the leader of the Qing Bang (Green Gang), the most powerful secret society in the city. 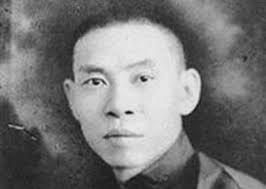 He rose through the ranks and worked closely with Huang Jinrong (1868-1953), nicknamed “Pockmarked Huang”, who, as well as being a gangster, was the head of Chinese detectives in the French Concession’s Garde Municipal. W.H. Auden and Christopher Underwood, in their book Journey to a War, described Du in 1938: “Du himself was tall and thin, with a face that seemed hewn out of stone, a Chinese version of the Sphinx. Peculiarly and inexplicably terrifying were his feet, in their silk socks and smart pointed European boots, emerging from beneath the long silken gown. Perhaps the Sphinx, too, would be even more frightening if it wore a modern top-hat.” With Du in command, the gang controlled prostitution, bathhouses, gambling dens and numerous protection rackets as well as dealing in opium. He also engaged the Qing Bang in politics, forming an alliance with Chiang Kai-shek against the communists and pro-communist unions in Shanghai. The resulting massacre of 5,000 people, known as the 1927 Shanghai Purge, ended the First United Front. For his help, Chiang appointed Du to the Board of Opium Suppression Bureau. He was also decorated with the Order of the Brilliant Jade. He led a charmed life, thanks, he believed, to the dried heads of monkeys that were always fixed to the back of his long gowns. For his financial help Du was permitted to run trade unions and deal in drugs. China was then quite segregated and Chiang was in nominal power only of the whole country so he had to rely on local gangsters to enforce his will. When the Nationalists declared war on Japan in 1937, Du smuggled supplies from occupied Chinese territory. The relationship took a turn for the worse following the Second World War and the criminal activities of Du, his family and colleagues caused difficulties for the Kuomintang. When Chiang Ching-kuo, Chiang Kai-shek’s son, began an anti-corruption campaign in Shanghai in the late 1940s, Du’s people were among the first to be jailed. Like most gangsters, Du had information on his friends and enemies and his people were released after he threatened to make public crimes committed by Chiang Kai-shek’s family. In 1949 Chiang Kai-shek’s Nationalist government fled to Taiwan. Du left China for Hong Kong where he died in 1951.